Princess Eugenie and Mr. Jack Brooksbank will be married at Windsor Castle on 12 October 2018. In the lead up to The Couple's special day, here's a look at some of the most beautiful, opulent and symbolic wedding cakes in Royal history. Wedding cakes are a key component of many couple's special day, providing a magnificent centre piece for 'The Wedding Breakfast', which takes place after the ceremony. The cutting of the cake is the first task that bride and groom perform jointly as husband and wife, and so the cake takes on a symbolism and meaning beyond simply being a delicious finale to a celebratory meal. 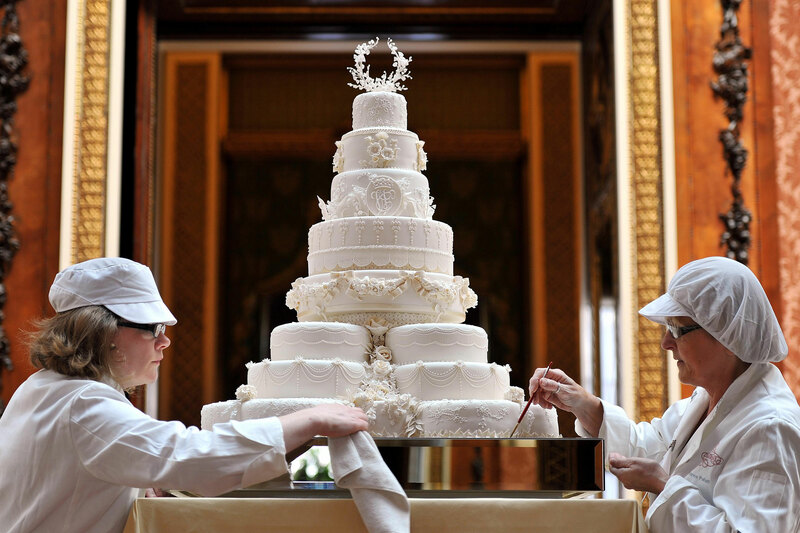 A wedding cake made for a Royal couple will often be large enough to serve over 2,000 people, with slices packaged up and sent to charities and organisations close to them as well as served up to the guests in attendance. 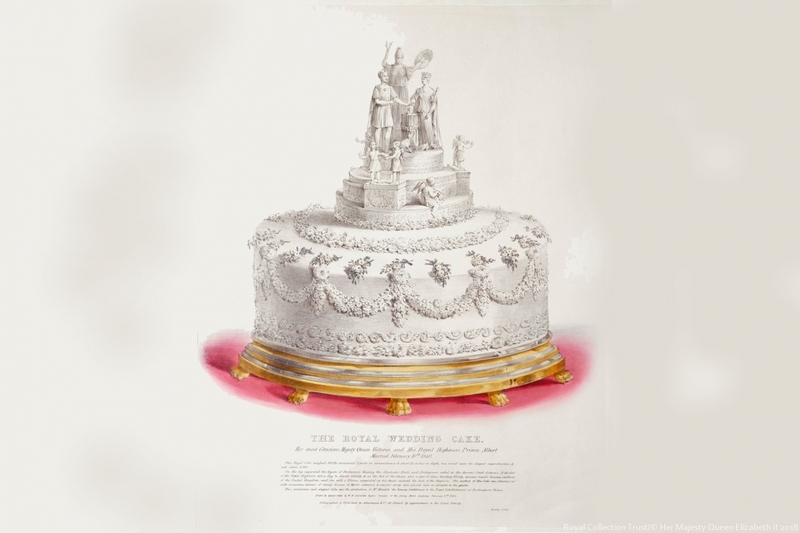 Royal wedding cakes throughout history have weighed anything from 300lbs to over 500lbs. And after designs are drawn up, chefs will spend hours building each tier before it is assembled in situ. For The Wedding of Prince William to Catherine Middleton in 2011, chef Fiona Cairns created 900 delicate sugar-paste flowers to decorate the couple's wedding cake, taking her team five weeks to prepare. 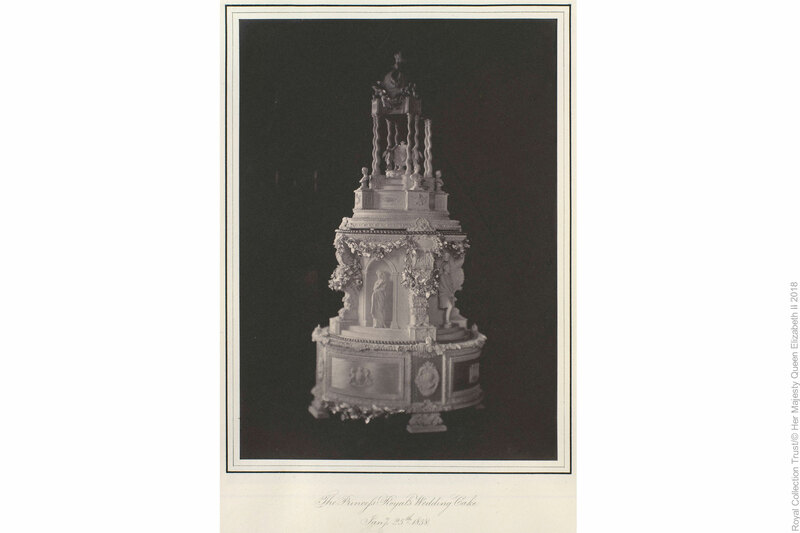 Every Royal Wedding cake features significant and intricate designs which are intended to reflect the personalities of the couple as well as the significance of their union, a tradition that reaches far back to Queen Victoria's wedding day in 1840. Queen Victoria married Prince Albert of Saxe-Coburg and Cotha (later Prince Consort) on 10 February 1840 – it was the first marriage of a reigning English Queen for 300 years. The three tiered wedding cake weighed 300 pounds and had decorations including busts of the couple on the top tier. Its said that after Queen Victoria's wedding to Prince Albert, wedding cakes became more commonplace at receptions across the country. On the night of her wedding the young Queen wrote, ' 'How can I ever be thankful enough to have such a Husband! ... to be called by names of tenderness, I have never yet heard used to me before—was bliss beyond belief! Oh! This was the happiest day of my life!' The couple went on to have nine children, most of whom married into other Royal families in Europe. Read Queen Victoria's diary entries here. The Prince of Wales, as King Edward VII was then known, married Princess Alexandra of Denmark at St George's Chapel, Windsor Castle, on 10 March 1863. The cake was elaborately iced and is decorated with flowers. 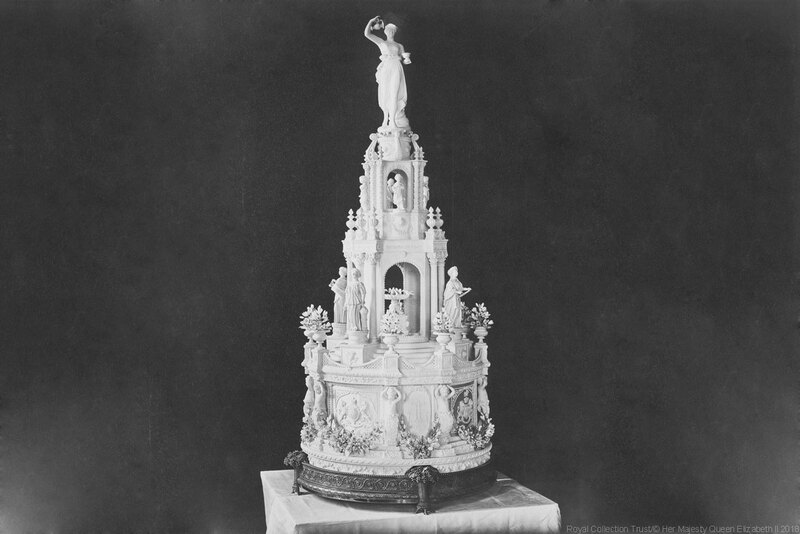 A female figurine graces the top tier of the wedding cake of Princess Louise to John Campbell, The Duke of Argyll – later known as The Marquess of Lorne. Princess Louise, who was the fourth daughter of Queen Victoria and Prince Albert, became an unofficial secretary to her mother before meeting Campbell. Queen Victoria initially resisted her daughter's marriage proposals, writing in her diary, that she 'felt painfully the thought of losing her'. But eventually permitted her to accept Campbell and the couple wed at St George's Chapel at Windsor Castle on 21 March 1871. After seven years of Marriage, Lorne was chosen to be Canada's Governor General and the couple moved to Rideau Hall, the royal residence in Ottawa. As with her sister, Queen Victoria resisted Princess Beatrice's many suitors in the hopes that her youngsters daughter, who she called 'baby' would remain as her companion and unofficial secretary in the wake of the death of her beloved husband's death. She only agreed to her marrying Prince Henry of Battenberg if the couple would promise to stay living with her – which they did. They were married at St. Mildred's Church in Whippingham on the Isle of Wight. Prince Arthur, later The Duke of Connaught, was the seventh child of Queen Victoria and Prince Albert. He married Princess Louise Margaret of Prussia at St. George's Chapel in Windsor Castle. Find out The other Royal Weddings that took place at St. George's Chapel. Prince Albert​ and Elizabeth Bowes-Lyon, later George VI and Queen Elizabeth The Queen Mother were married on 26 April 1923 in Westminster Abbey. On their marriage the couple was created The Duke and Duchess of York, a title they held until the abdication of King Edward VIII in 1936. The cake created for their wedding day was 10ft high. On the first tier were reproductions of Windsor Castle and St. George’s Chapel and The Queen Mother's childhood home Glamis Castle appeared on the second. Other details included cupids ringing tiny silver wedding bells on ladders leading to the top of the cake. After their wedding reception, the cake was put on display in Reading, where members of the public queued around the block for a glimpse. 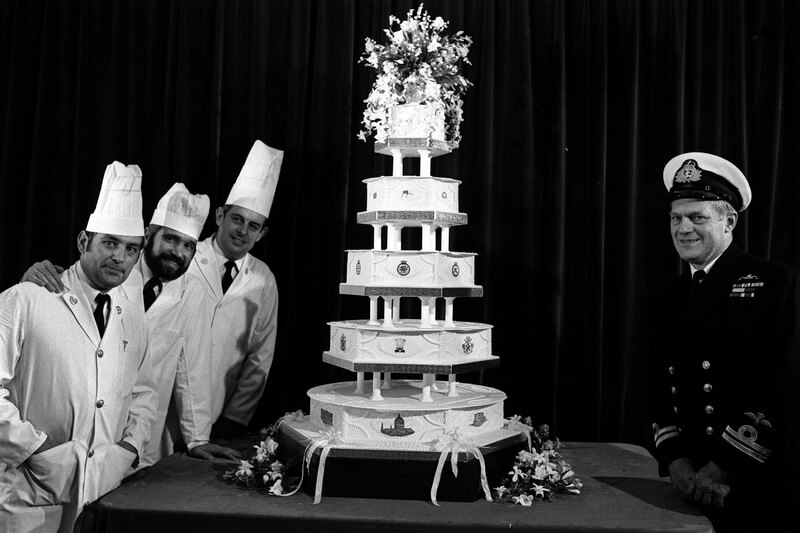 The wedding cake made for The Queen and The Duke of Edinburgh's wedding was 9 feet tall and weighed 500 pounds. It produced 2,000 slices for guests and hundreds more were sent on to charities and organisations. 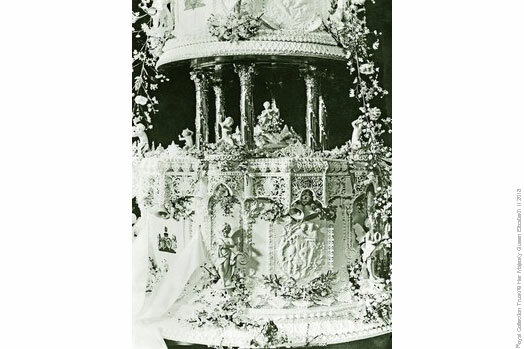 One tier of the wedding cake was even kept for the christening of their first child, Prince Charles, which took place the year after their wedding, in December 1948. Read: 70 Facts about The Queen and The Duke of Edinburgh's wedding here. 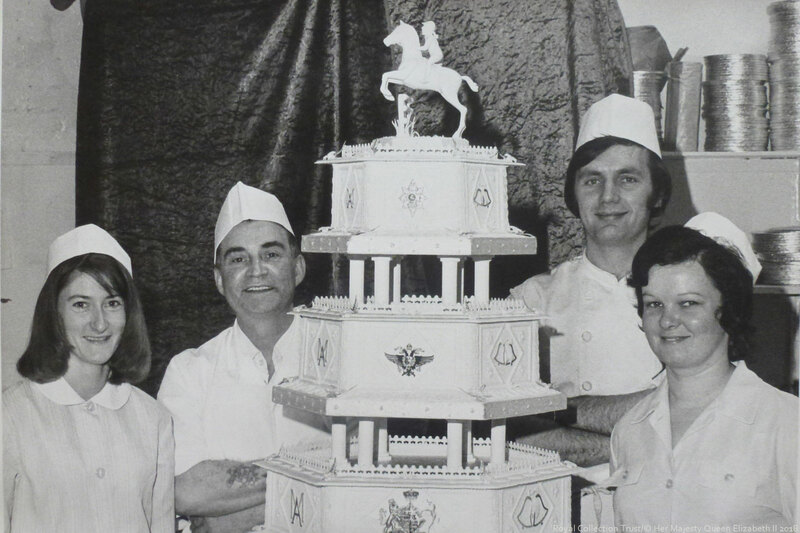 Audrey's catering team made the official wedding cake to celebrate the marriage of The Princess Royal and Captain Mark Phillips in November 1973. Each tier of the cake was carefully shaped in the form of a hexagon. At the top of the cake is a statue of a female jockey leaping a fence – a tribute to The Princess' equestrian career which saw her compete in the 1976 Montreal Olympic Games. 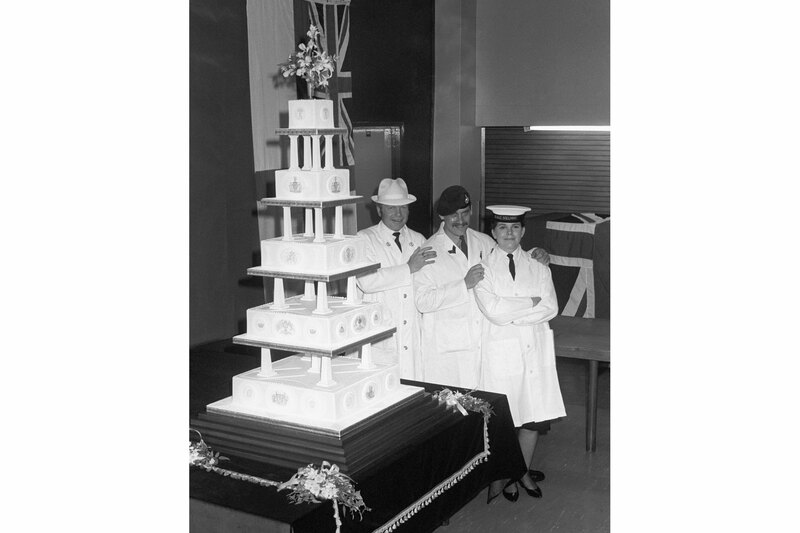 The official wedding cake for the wedding of The Prince of Wales and Lady Diana Spencer was made by the Royal Navy's Cookery school, HMS Pembroke, at Chatham. The cake was 5ft tall and weighed 255 lbs. The wedding of Prince Andrew, Duke of York, and Sarah Ferguson was held on 23 July 1986, at Westminster Abbey in London, England. Their wedding cake was created at the Royal Naval Cookery School, HMS Raleigh, at Torpoint in Cornwall. 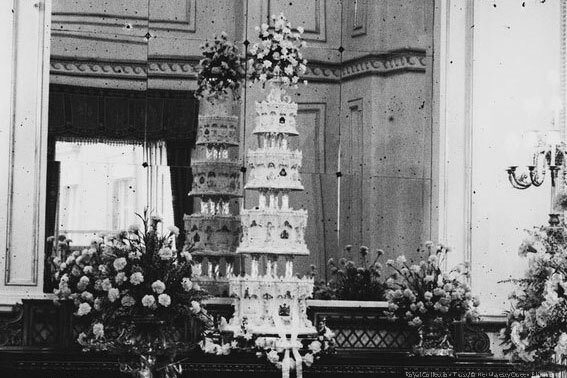 Two cakes were been made, just in case of disaster during the journey from Cornwall to Buckingham Palace, where the cake was displayed at the couple's wedding breakfast. 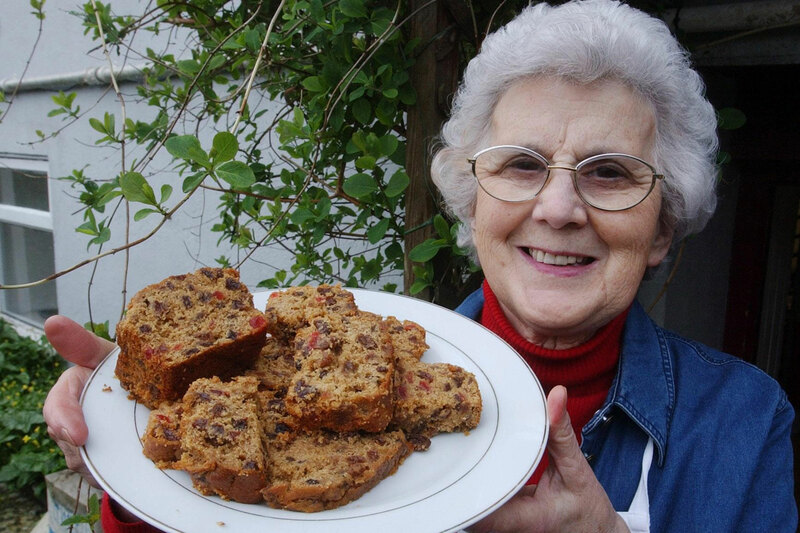 Etta Richardson's fruit cake made a special impression on The Prince of Wales, after he tasted a piece during a visit to Llansteffan in 2004. His Royal Highness was touring a small exhibition of societies and organisations associated with the welsh village, where Etta is from. Some months later, when she was asked to bake a cake for a special request by The Prince, she was completely unaware it would be for His Royal Highhness' wedding day. Etta recreated her fruit cake for The Prince and The Duchess of Cornwall's wedding reception which was held at Windsor on 9 April 2005. Her family run a small business in the kitchens from their home and continue to sell the fruit cake, now named 'Etta's Royal Cake', at Camarthan market. 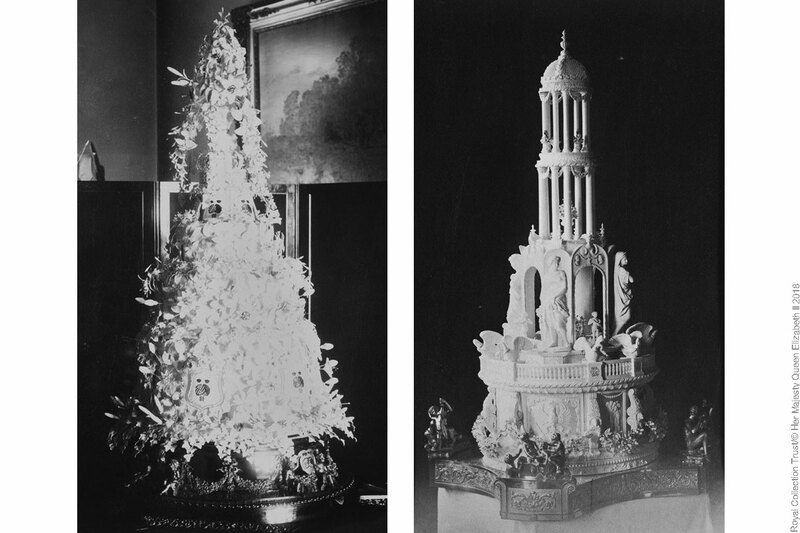 The wedding cake for Prince William and Catherine Middleton's wedding, known from their wedding day as The Duke and Duchess of Cambridge, was made by Fiona Cairns. The cake was a eight-tiered traditional fruit cake which stood at 3ft tall. 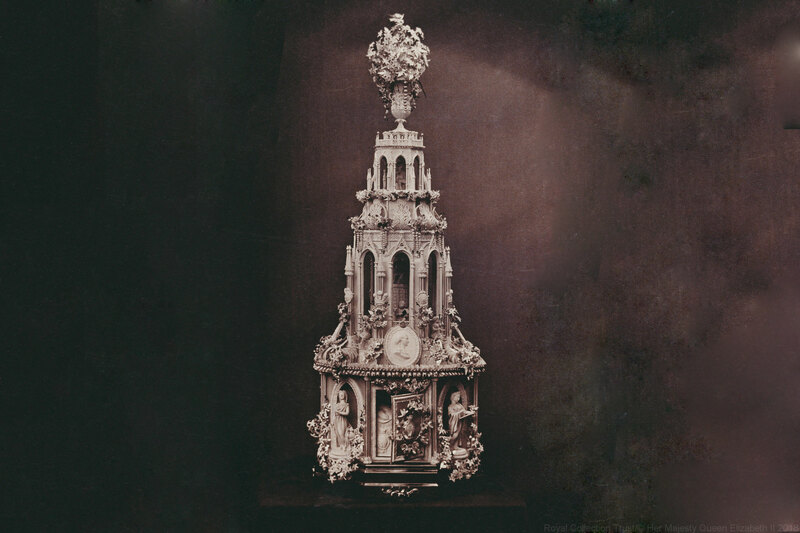 It was decorated with cream and white icing in the 'Joseph Lambeth' technique – which is based on the centuries old English tradition of “overpiping”, where rows and rows of intricate piped details, srolls and garlands are created. Cairns' team of 50 chefs spent five weeks constructing the 900 delicate sugar-paste flowers that decorated each tier. A further 17 sugar flowers, that had special meaning to the couple, were added, including sweet william and myrtle, which symbolises love and marriage. Cairns was also given a piece of lace from The Duchess' wedding dress (unbeknownst to Cairns at the time) which was copied on to the cake itself. While we will all have to wait a little longer to see the finished wedding cake for Prince Harry and Ms. Markle, we do know that it will be created by Claire Ptak, an American pastry chef based in Hackney in East London. Ms. Markle first met Claire Ptak, owner of the Violet Bakery, when she interviewed her for her lifestyle blog TheTig.com. Prince Harry and Ms. Markle have asked Ms. Ptak to to create a lemon elderflower cake to incorporate the bright flavours of spring. It will be covered with buttercream and decorated with fresh flowers. More on The Royal Wedding here.